May 15, 2013 (Part I, Part II) – Part II: audio only. May 09, 2013 – Due to technical difficulties, only the audio is available. Examine the negative economic impact on Texas business from legal issues involving threatened and actual patent litigation by "patent assertion entities" (PAEs). Consider the effects of PAE actions on innovation and economic development in Texas, paying particular attention to threats and lawsuits involving software and technology patent claims. Make recommendations on how the State of Texas can address problems related to frivolous legal actions and unsubstantiated patent claims asserted against legitimate business enterprises in light of the relevant federal jurisdiction, laws, regulations, and court rules in patent cases. Study the emerging negative impacts of the Federal Affordable Care Act, including the use of navigators, and make recommendations to mitigate any unintended consequences including rising health insurance premiums, lack of access to healthcare, mishandling of Texans' private information by insufficiently-trained navigators, and the Act's overall effect on Texas employers and insurance consumers. Evaluate free-market alternatives to the Act, including state-led proposals to repeal, reduce or replace the Act. Closely monitor and make recommendations on the continuation of the Texas Health Insurance Pool. Study and make recommendations on increasing medical price transparency in Texas, including studying the impact of SB 1731, 80th Legislative Session. Analyze relevant reforms considered or implemented in other states, and make recommendations regarding potential changes designed to create a more open marketplace for enhanced consumer decision making in Texas. Monitor the actuarial and financial conditions of the pension and health care programs administered by the Teacher Retirement System (TRS) and the Employees Retirement System (ERS). 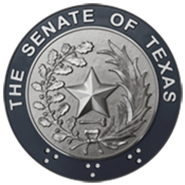 Monitor the implementation of legislation addressed by the Senate Committee on State Affairs, 83rd Legislature, Regular Session, and make recommendations for any legislation needed to improve, enhance, and/or complete implementation. Study and make recommendations relative to the structure of Texas Mutual Insurance Company and the residual market for workers'	compensation insurance in Texas.